Are you Ready for Karaoke, Las Vegas? One of the most popular entertainments in Las Vegas is Karaoke. 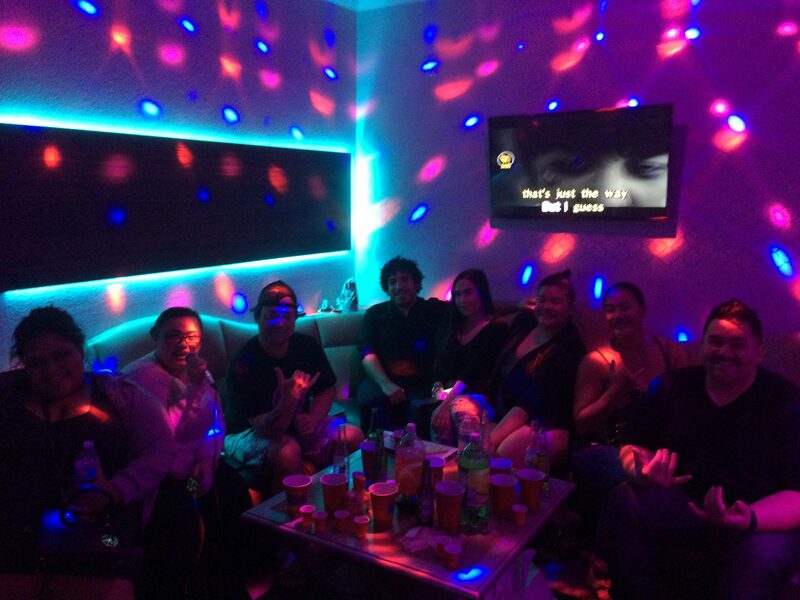 Whether you’ve been inspired by the shows on the strip or you just want to let loose with a group of friends, a Karaoke bar is among the most popular on and off the strip. When you aren’t sure where to go, for the most fun you can have with a drink and a mic, check out these well-known tourist meccas and off-the-beaten-path local favorites and join in for Karaoke Las Vegas! has been a Vegas staple favorite since 1962. It’s where locals go to relax and belt out “Don’t Stop Believin” in a smoke-filled, authentically vintage room. Dino’s red tufted chairs and worn black stage seem to transport you back a couple of decades, especially if you’re visiting from a locale where smoking in bars is now prohibited. When you’re waiting your turn to sing on the small stage, enjoy a game of pool or video poker. 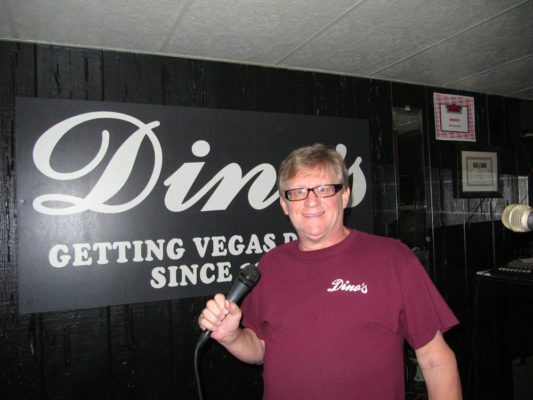 Although Dino’s is open all day, every day, the Karaoke is only Thursday through Sunday nights starting at 10 PM. 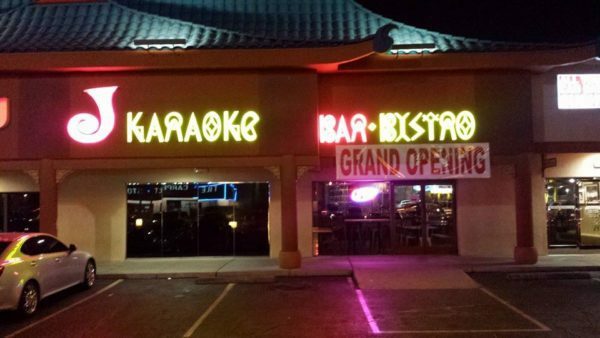 If you’re heading to Las Vegas’s Chinatown, swing by J Karaoke Bar, located in an authentic Chinese restaurant. If you don’t like crowds or you’re traveling as part of a group, you can rent a small room and sing just with (or to) only your friends. Each small “cabin” has comfy pillows, tambourines, and several small screens if you’d prefer to move around yet still see. People from all over the globe flock here for the wide selection of hit songs from international artists and groups. Food is available in the restaurant for all meal periods, but Karaoke is only offered from 6 pm to 5 am, every day. Check online for their happy hour specials! 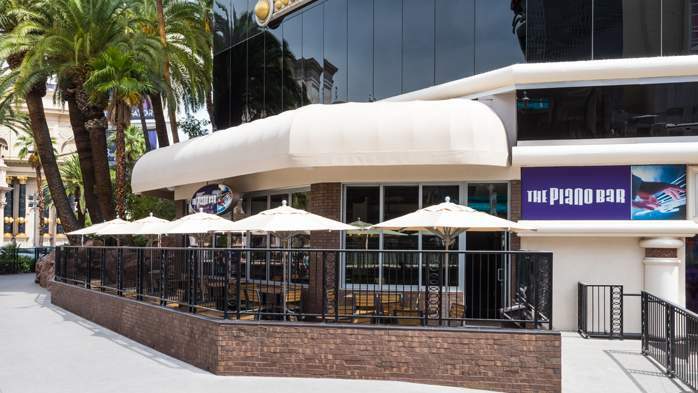 has occupied its prime location on Fremont Street since the 1950s but has recently reopened with new management and a makeover. This cowboy-themed saloon is a favorite for live music in Las Vegas, with acts like The Killers and Built to Spill having played here. 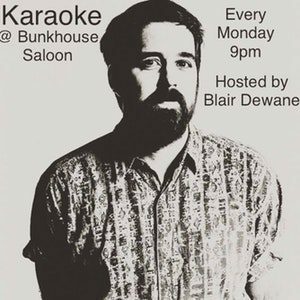 Follow in their footsteps and belt out your best Mister Brightside every Monday night on their Karaoke stage. If you’re hungry, classic pub food is served and there are rotating nightly drink specials. The bar is open from 5 pm to 1 am every day. Just as travelers around the world massed the real Ellis Island in New York in the 1800s, so also do visitors from around the world struggle to come inside Ellis Island Casino and Hotel. 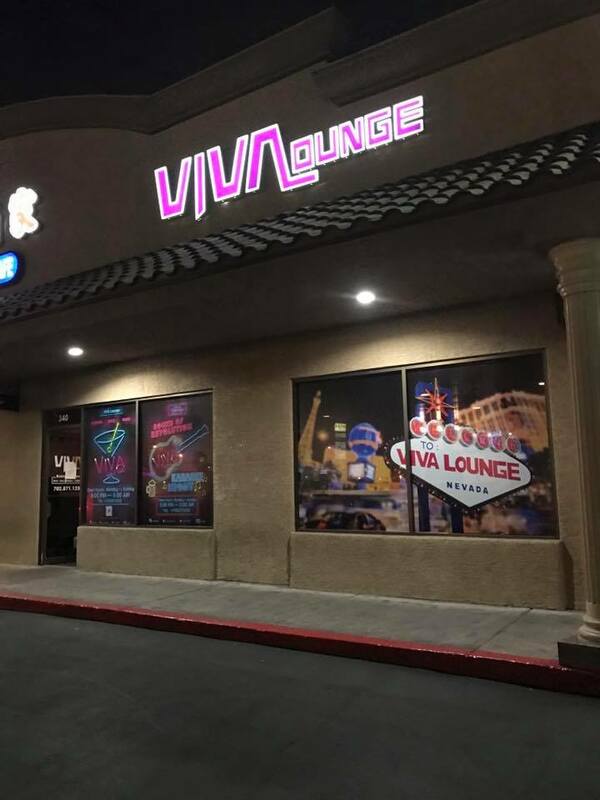 Known for their Karaoke, and located in a prime spot just off the strip, amateur performers play to a packed house every night. From locals to tourists, to even the occasional Elvis impersonator, the Ellis Island bar offers classics, new hits, and international acts. With a state of the art sound system and a song catalog totaling over 10,000, there’s enough to keep you here around the clock. While you’re waiting your turn to sing, check out the microbrewery located elsewhere in the hotel. Look online for their drink specials; the bar is open all day, every day. When you want Las Vegas karaoke that’s a little more high-brow, visit The Artifice located in the Las Vegas Art District. Dark and mysterious, with a retro- bohemian feel, this lounge is tailored to make you feel like you’ve stepped back in time. Only recently have they started offering Karaoke, and only on Wednesdays, so hit the stage with your best crooner friends and walk the planks where famous and not-so-famous locals acts have performed. It’s a popular location, so be prepared to enjoy a lot of others while you wait for your turn to belt one out. With songs of every genre and exciting drink specials, everyone will have a great time. Wed. 10 PM. One of the few hotels on the Las Vegas Strip to offer Karaoke, Harrah’s rotates dueling pianos, karaoke, and “Big Elvis” every night from 6 pm to 9 pm. If you’re ready to get your evening off to an early start, this is the best place to get warmed up before heading out. In fact, with their state-of-the-art sound system, you may even have an audience outside on the sidewalk! While you’re waiting your turn to sing, there are a gaming tables just outside the karaoke bar, so you can play a little to pass the time. Located just off the Strip, Champagne’s has the feel of a local watering hole, with well-priced drinks and a cozy, insider feel. It’s also arguably the best spot in Vegas to sing Karaoke, especially if you’re looking for something with fewer tourists. You’ll feel like you’ve been transported back in time to a mid-century lounge, complete with drifting cigarette smoke, red velvet wallpaper, and familiarity between the customers and outgoing bar staff. Enjoy belting out your favorite song in a classic Vegas, speakeasy lounge environment. Instead of booming speakers, Don’t Tell Mama has a live piano player. 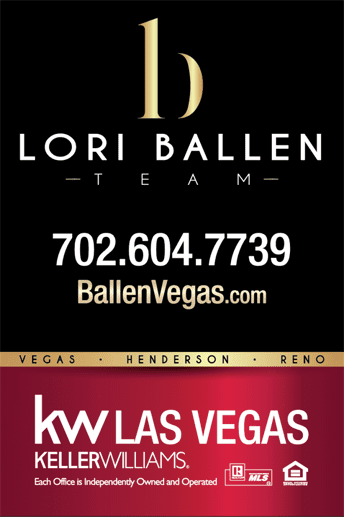 This is a rarity in loud, flashy Vegas and very popular, so show up early and ready to perform. 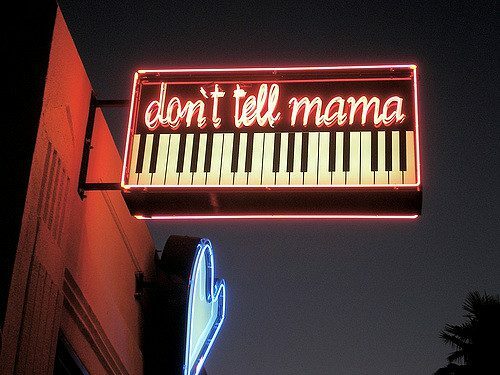 Don’t Tell Mama caters to people who consider their karaoke as “art” – it almost has an open mic night feel. If you’re too shy to sing, come anyway because the lineup includes super-talented locals and visitors who know where the best performances are. Part of the Fremont Street experience, this is a place not to be missed. Come for the authentic Filipino cuisine and stay for the Karaoke and dancing. Instead of a smoky bar, this venue has the feel of a fun wedding reception or a sing-along prom. Arrive hungry, sing your heart out, and make lots of new friends. Cafe Moda is family owned and operated, so prepared to be welcomed into the fold. Check online for Karaoke hours and drink specials. 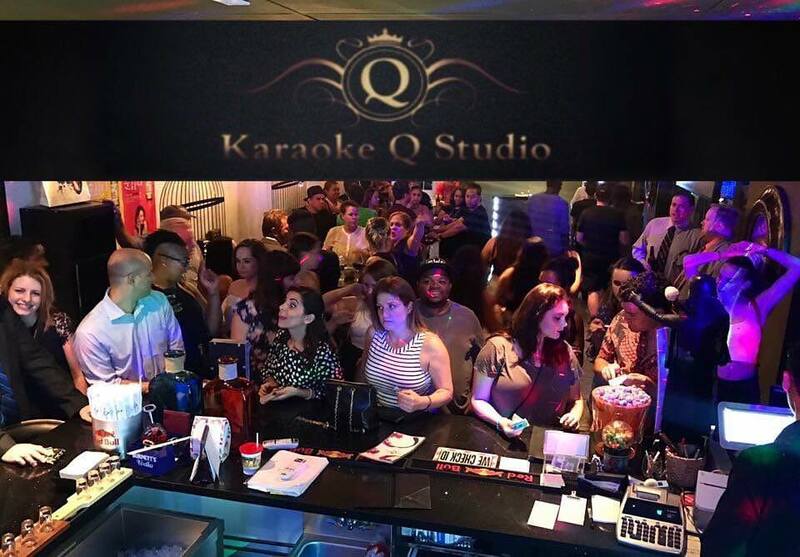 With a Chinese-meets-American bar food menu, private Karaoke rooms, and a cozy environment, Q Karaoke Bar is a must for groups visiting Vegas. When you’ve got a small crowd that’s hard to keep together, a private Karaoke room is great to make sure that everyone is together and having fun. Check online for nightly drink specials. 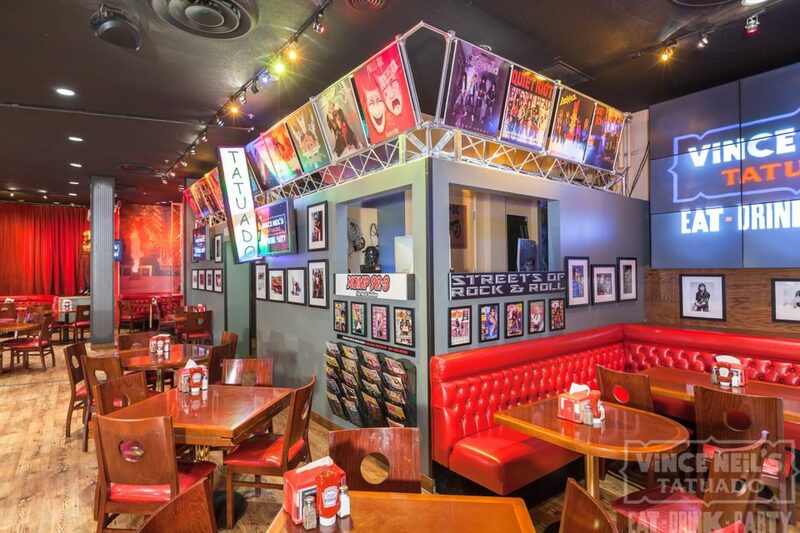 With private rooms available for small, medium, and large groups, as well as fun themes, such as Ladies Nights complete with specially priced drinks, Go-Go Karaoke, located near the Strip, is ideal for groups of friends visiting Las Vegas to celebrate. If you get hungry, the on-site, made from scratch kitchen serves tasty food. Go-go is recognized for their top-notch service, too. With VIP service and song selections available in eleven different languages, Go-Go Karaoke is a perfect spot for Vegas visitors. The bar is open nightly from 6 pm to 5 am. 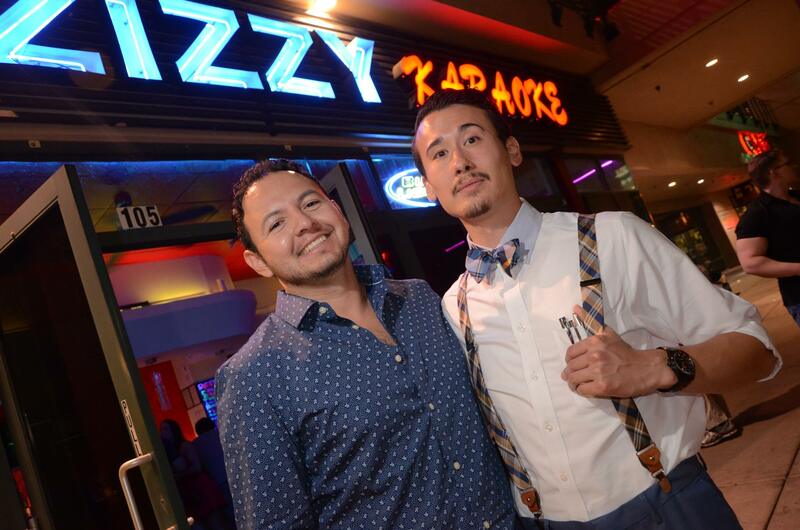 If you adore sushi and love singing, come visit Zizzy Bar. Located in Las Vegas’s Chinatown district, this Korean restaurant and lounge is a hot spot for Happy Hour – check out their nightly specials online. The staff is friendly and welcoming, and it’s a great destination for those traveling from East Asian or South Asian countries, as there are many languages spoken. The songs are up to date, and there are selections in several languages, as well. Party space accommodations are available when booked in advance, and it’s very popular on the weekends. Bar hours are 5 pm to 5 am nightly. 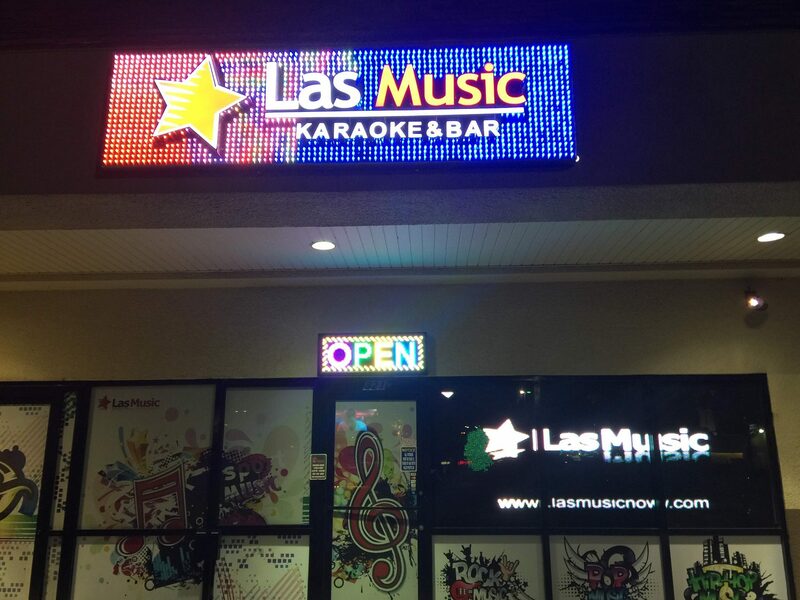 Enjoy private rooms for that bachelor or bachelorette party at Las Music Karaoke Bar. With great drink specials, like two-for-one during happy hour, as well as some of the best service in the Valley, Las Music is a great intimate venue for those who love to perform. If you need a break from singing, grab some tasty appetizers and enjoy watching others. This place is very popular on the weekends, so get your name on the list early. Bar hours are 7 pm to 4 am nightly. 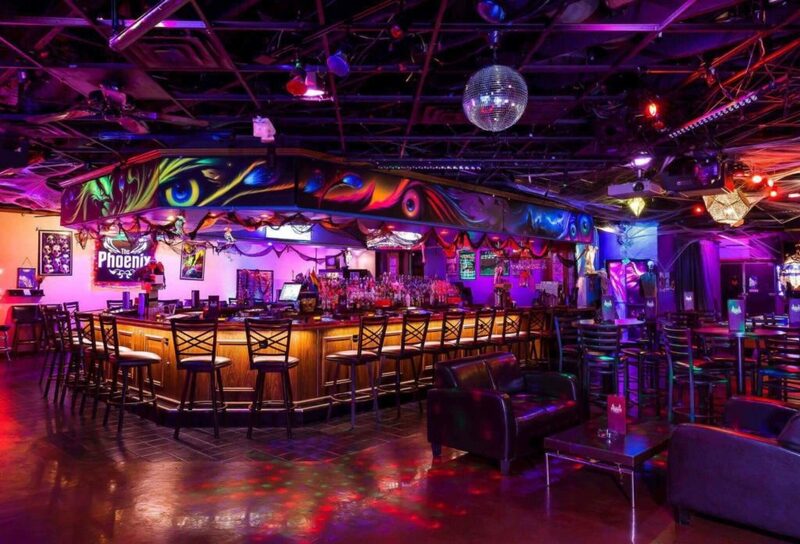 Las Vegas’s most popular LGBT bar and nightclub is FreeZone, located near the strip. With nightly shows, special games, an of course Karaoke, there’s something different every day. Although the bar is open all day, every day, the special events rotate, along with live performances. The chance to sing Karaoke with the Queens is not to be missed. Enjoy Happy Hour drink specials and great food. When you get tired of singing, there are dance floors located in the club, as well. Enjoy karaoke seven nights a week and party like an 80’s hair metal star at Tatuado Eat Drink Party. The bar and lounge is reminiscent of Hard Rock Glam, with plenty of music and crazy times. The rotating Happy Hours have nightly drink specials, so check online for your preferred night’s special. As one of the hottest restaurants in Vegas, there’s plenty of delicious food to sample while you wait for your chance to hit up the stage and rock out like Motley Crue. The bar is open all day, every day, with Happy Hour from 11 am to 7 pm! is a low-key bar with an authentic local vibe. With nightly happy hour specials and fantastic staff, you’ll get treated as if you’re a Vegas regular. Enjoy unlimited singing time when you come in a group and book a private room. Bottle service is available or you can order drinks from a personal cocktail server. Special VIP service is great for the bachelor or bachelorette parties, too. Drink specials rotate nightly, and the song selections are very current, including ones in different languages. The bar is open until 5 am. 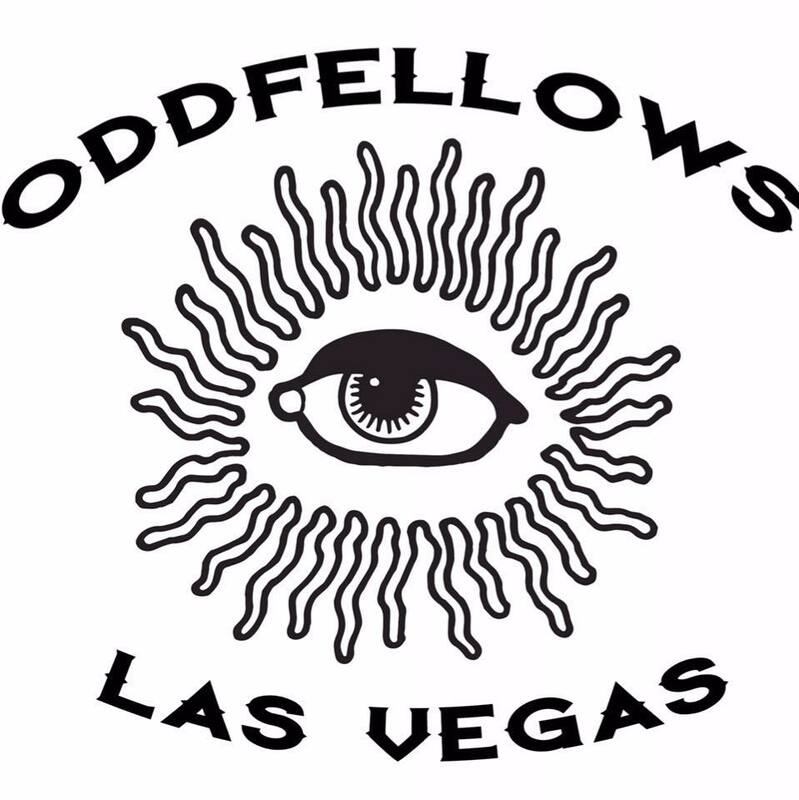 One of the best dance clubs in Vegas, Oddfellows is known for different themed nights, including 90’s and Karaoke. With a cigar bar when you want to relax from singing or get that gravely rasp to your voice, it’s a unique place not to be missed. Patrons can enjoy exemplary cocktail service, as well as VIP bottle service. New visitors should swing by when the bar opens, at 8 pm, to really experience and explore the Ouija board/ occult theme. Once the party gets going, around 11 pm, the place, which consists of two different bars, really gets hopping. When you’re ready to get away from the mainstream Vegas, this is the place to go. One of the top spots for an LGBT atmosphere, the Phoenix has different themed nights, with plenty of fun to be had. When you’re ready to brave the stage, visit on Sunday nights for Karaoke night. The sound system is state of the art, and will automatically adjust to your voice. It may not make you sound like Cher, but it will help with volume, so you can be heard even in the back. As you’re waiting your turn to sing, there’s plenty of pool tables and video poker to keep you busy. Appetizers are served as long as the bar is open, and there are drink specials during Happy Hour. Pandora’s is very popular with visitors and locals alike – it’s almost always packed during prime party hours. 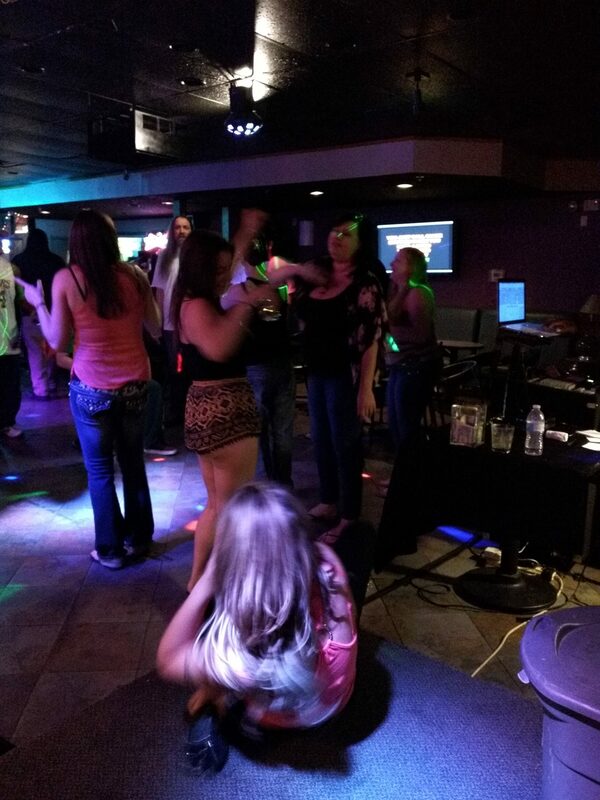 With karaoke every single night there’s always a crowd. Drink specials are offered nightly during Happy Hour, and there are a few appetizer options, too. Come early to make sure you get a chance to sing, as the list fills up quickly. When you are waiting your turn, there’s plenty of room to dance, too. For a local vibe, this place is a great non-tourist spot. Pandora’s Lounge is open 24 hours, but Karaoke is only at night. If you are a Karaoke Las Vegas enthusiast and know of a Karaoke Bar we didn’t mention, send us an email and we will include it. One of the most popular entertainments in Las Vegas is Karaoke. Whether you've been inspired by the shows on the strip or you just want to let loose with a group of friends, a Karaoke bar is among the most popular on and off the strip. When you aren't sure where to go, for the most fun you can have with a drink and a mic, check out these well-known tourist meccas and off-the-beaten-path local favorites and join in for Karaoke Las Vegas!